And now onto the wine! 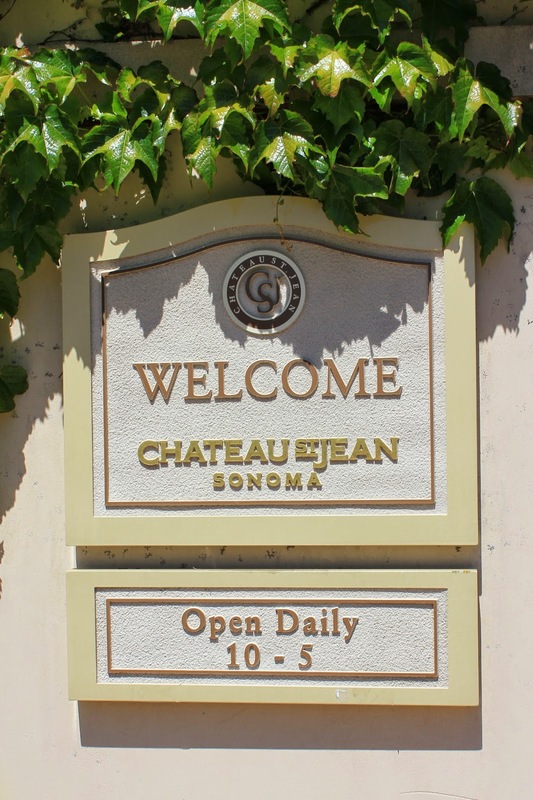 Our first social call on our Edible Skinny Vine to Vino Tour was to the Sonoma favorite Chateau St. Jean. ChateauSt. 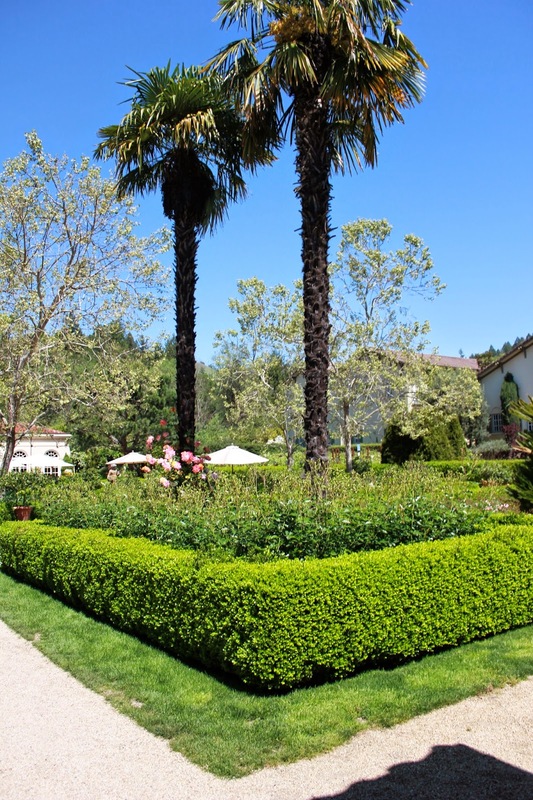 Jean is the quintessential Sonoma winery with its gracious style, elegant architecture, and inviting gardens. 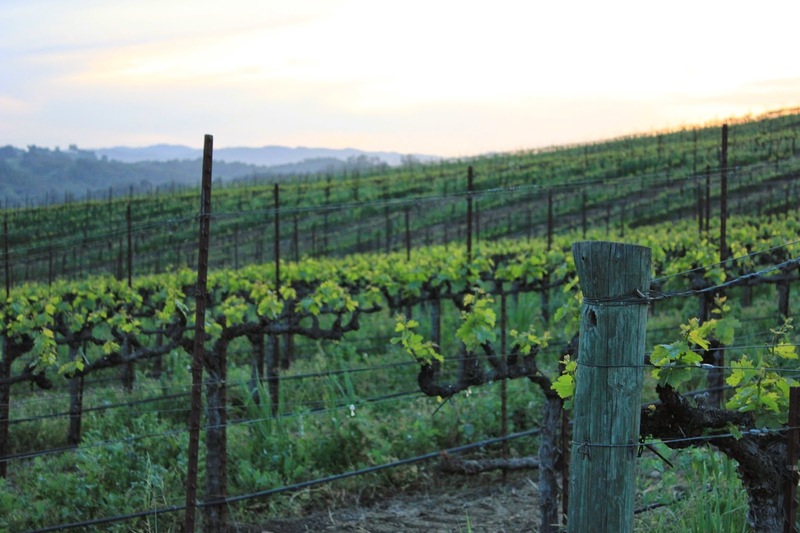 The winemaking estate is located at the foot of Sugarloaf Ridge in the Sonoma Valley near Kenwood, California. Though the chateau was built in 1920, it was only in 1973, when the winery was established, that the estate began enchanting its visitors. Constructed almost a hundred years ago the Chateau was created as a summer home for Ernest and Maude Goff, and their children. The family, originally from Saginaw, Michigan, made its fortune in iron mines there, and in lumber in the Pacific Northwest. The 250 acres of land (now part of Chateau St. Jean vineyards) were initially planted with white grapes, but Prohibition curtailed alcohol imbibing and the family opted to grow prunes and walnuts instead. When Chateau St. Jean was established in 1973, the decision was made to preserve the Goff legacy. The Chateau was fully restored and opened to the public. It has since been listed in the National Trust for Historic Preservation. 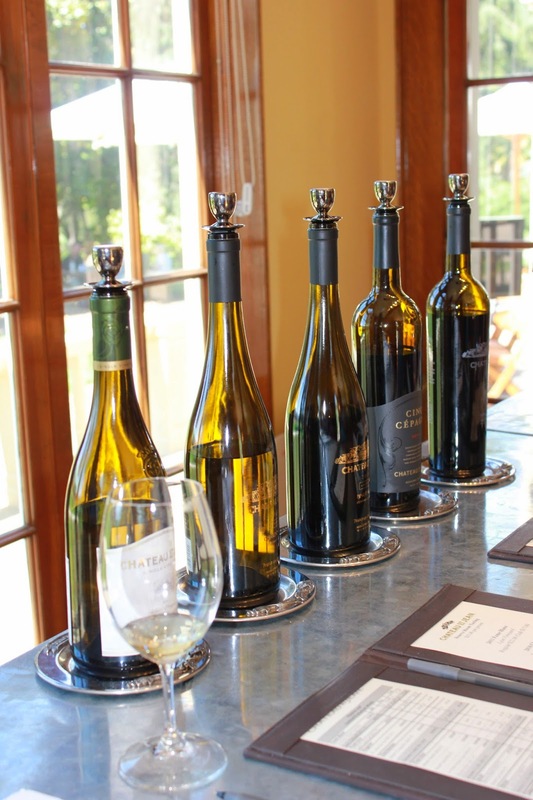 In the summer of 2000, Chateau St. Jean winery opened the doors to its new Visitor Center and gardens. In keeping with the Chateau architecture and sense of place, the wine tasting and retail rooms are housed in an elegant garden structure surrounded on three sides by terraces and outdoor garden spaces. Inspired by formal estate gardens in Italy and the south of France, it features colorful shrubs, fragrant citrus, rare palms, and two effervescent fountains. For our first sips of our Sonoma sojourn, Edible Skinny was able to experience the lusciousness of Chateau St Jean's Reserve tasting room. One of the first wines we tasted was Kelly’s Top Pick, their 2010 Reserve Chardonnay Sonoma County ($50). 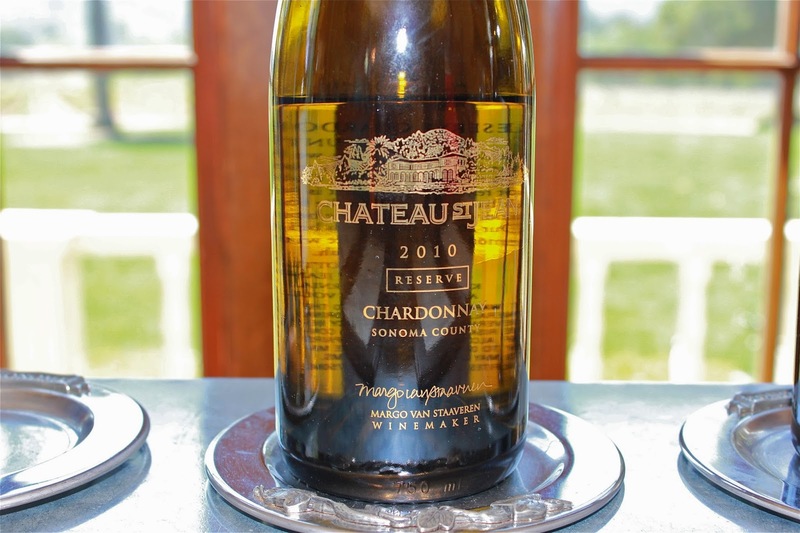 This wine was Kelly’s definition of a perfect Chardonnay: one that dances with butter and cream. With aromas of warm lemon cream pie and toasted hazelnuts and a palate of lemon, browned butter, and baking spice it was the poster child of malolactic fermentation. One of the first shining stars of their red tastings was their 2011 Sonoma County Pinot Noir ($65), which was a cheerful combo of cherry (very cherry!) and chocolate crush. But my absolute favorite from the Chateau St. Jean Reserve tasting was their 2010 Cinq Cépages ($75). In 1999, Chateau St. Jean was the first Sonoma winery to be awarded the prestigious "Wine of the Year" award from the Wine Spectator Magazine for its 1996 Cinq Cépages Cabernet Sauvignon, a Bordeaux-style blend of "five varieties," (which includes (for those who don’t know it off the top of their head): Cabernet Sauvignon, Merlot, Cabernet Franc, Petite Verdot, and Malbec). 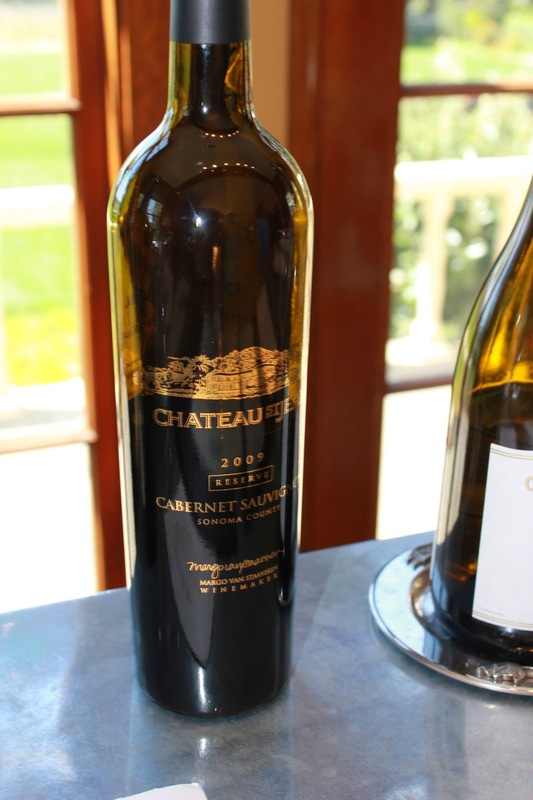 Already considered the winery’s Flagship Wine, Chateau St. Jean then received even higher acclaim when it received the "#2 Wine of the Year" from Wine Spectator for its 1999 Cinq Cépages Cabernet Sauvignon. Every year head winemaker, Margo Van Staaveren (who has been at the winery for 30 plus years) must decide whether the Merlot or Cabernet Sauvignon grape varietal will be at the forefront of this bottle. As winemaker, she makes the final decisions involving flavor fusing and style to produce a wine that is blended to be completely distinct from year to year. The 2010 Cinq Cépages wine received a 92 Points from Robert Parker's Wine Advocate and you can taste why! The wine is ruby red in the glass and with a single sip you are swirled into a world of blackberry, blueberry, plum, and pomegranate. This well-balanced and yet complex wine has smooth, silky tannins that offer solid structure but in no way overwhelm the mouth. The post swallow result can’t but help blossom into a smile! 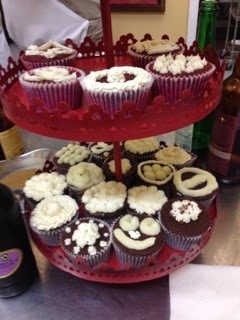 It was the perfect start of a beautiful romance with Edible Skinny and world of Sonoma wines! The Vineyards of Alexander Valley Vineyards. Photo by Kat Thomas. As Edible Skinny starts delving into the world of our Vines and Vinos tour we thought it might be a great time to explore a little bit of what makes the stuff in the bottle so great! There's a lot that goes into making a bottle of wine (one 750ml bottle contains 630 grapes or 2.4 lbs of grapes) and every step of the process is important. So here it is: a year in the world of a wine grape! Chef Eric Crowley’s is a master of culinary creation, and for anyone looking to sharpen their kitchen skills, his “Beer and Food Cooking Class” is a great way to take cooking to the next level. This seven course step-by-step instruction takes you on an exploration that moves quickly and enticingly from instruction, to application to enjoyment and appreciation. You get to eat every yummy ounce that you cooked at the end of the lesson, and this food is on pare with any well-respected Los Angeles restaurant. If not better. Chef Eric gives budding chefs, or those just wanting to learn a few new tricks, a chance to really know the art and science of food pairing and preparation. His personal, hands-on approach, gives students the confidence and skills they need to prepare seven divine courses, that will have guests begging for seconds. The Culinary Classroom offers an adventurous alternative to dining out. Customers can enjoy all the same decadence of deliciousness, for around the same price, only now they can recreate their favorite mashed potatoes, or know that secret ingredient to the sauce that makes even the pickiest eater want to lick their plate. Being a Los Angeles native, growing up Chef Eric was exposed to an eclectic amount of cuisine and cultures. Chef Eric’s mother having worked as a gourmet chef most of her life, had a huge influence on Eric’s interest in cooking. After pursing a career in music at 27, Chef Eric really dove into the kitchen. He started to explore his mother’s hand-written cookbook, and with a little season, a little spice, he was hooked. With the decision to pursue cooking full time, Chef Eric was accepted into the Culinary Institute of America in Hyde Park, New York. After completing rigorous training and graduating with honors, Chef Eric worked with work with Chef José Munisa at ViaVeneto, Barcelona’s longest-running 5-star restaurant, as well as with Chef Joseph Russwürm at Munich’s Hotel Kempinski, another 5-star establishment. Soon Chef Eric returned to the United States accepted position at Patina Catering. Here Chef Eric juggled a variety of catering events with high-profile cooking demonstrations. During this time Chef Eric thought it was time to add another layer to his craft, he began teaching professional chef programs at Los Angeles’ first private culinary school, The Epicurean School of Culinary Arts, which has since closed. In 2003, it was a natural next step for Chef Eric to open up his very own cooking school. The Culinary Classroom is a place where anyone and everyone comes to learn, eat and be merry. Many of Chef Eric’s students are professionals who are looking to challenge themselves and and increase their culinary skills. Others are recreational learners who want the intimacy of one on one instruction and behind the scenes knowledge that Chef Eric offers to students and patrons. The Culinary Classroom even offer a cooking class for children. Their classroom calendar is constantly updated due to adjust to the needs of cliental and to reflect the diverse gastronomic trends. 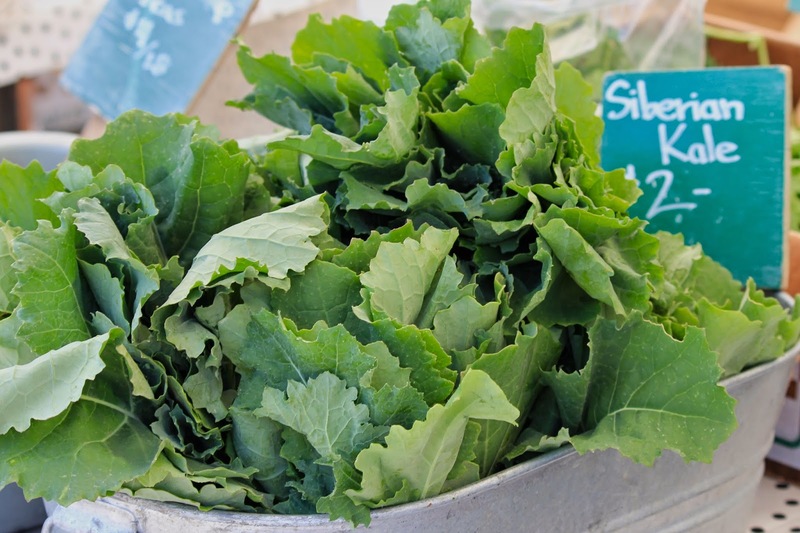 Edible Skinny is never one to give away any recipe secrets, but we can tell you that we learned more in one night, than years in the kitchen pouring over technical cookbooks and outdated recipe cards. The best thing about the Culinary Classroom is that the class is built to fit you needs. The instruction stops and starts when you want it to. You move at your own pace, with extensive and adaptive instruction. Studies have shown that people learn by doing, the hands-on learning aspects of this class cements skills you will use for years to come. And if perhaps you make a mistake, Chef Eric is standing by with a bag of delicious tricks to make sure your dish is as deliciously divine as possible, from first ingredients to last bites. 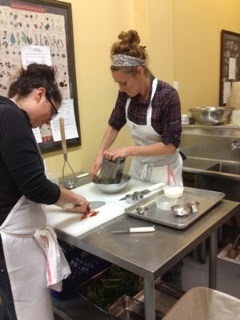 For Edible Skinny choosing a class was difficult, the Culinary Classroom offers so many amazing courses. 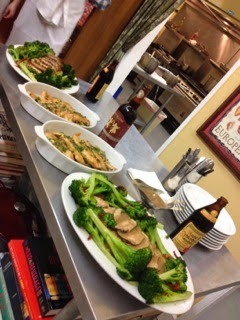 But Edible Skinny thought that the “Beer and Food Pairing Cooking Class” would offer a modern twist on some old favorites. It was seven courses of heaven. Some standouts included shrimp with a vanilla- saffron sauce, white cheddar cheese mashed fingerling potatoes and ancho devil’s food cupcakes. We are drooling just thinking about it. While, Edible Skinny cannot give you the recipes, we can give a sneak peek into what this amazing menu looks like. We can tell you every dish was delectable and decadent in its own diverse way. Especially the mashed potatoes, we will be dreaming of those mashed potatoes for years. 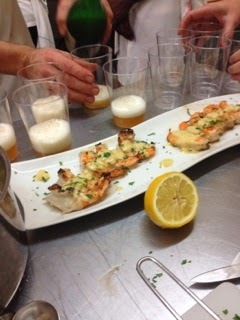 Below is the “Beer and Food Pairing Cooking Class” Sample Menu. The Culinary Classroom is designed to fill the personal needs of any audience or palette. 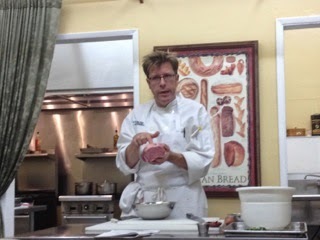 Chef Eric and his Culinary Schools are a fun and fascinating way to make life more delicious. 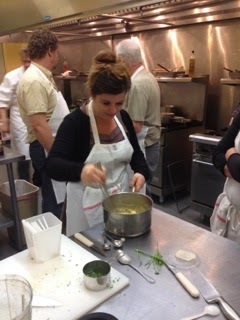 For more information about classes and their new culinary calendar please visit www.culinaryclassroom.com or call 310-470-2640. If you've been following Edible Skinny on Social Media (and you should be on instagram, facebook, twitter!) 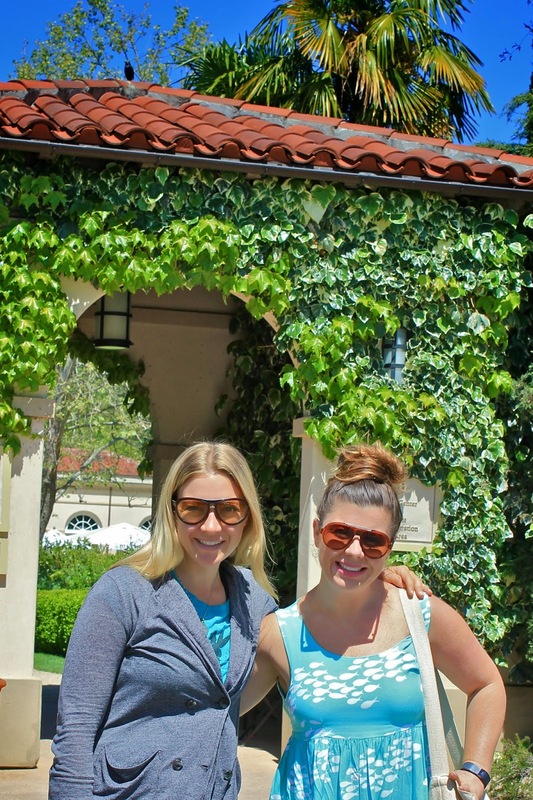 then you know that Kelly and I are in the midst of huge travel trip to Sonoma and Carmel! It's been a whirlwind of decadent deliciousness and I promise we will start posting hard articles on the website in the next few days!! 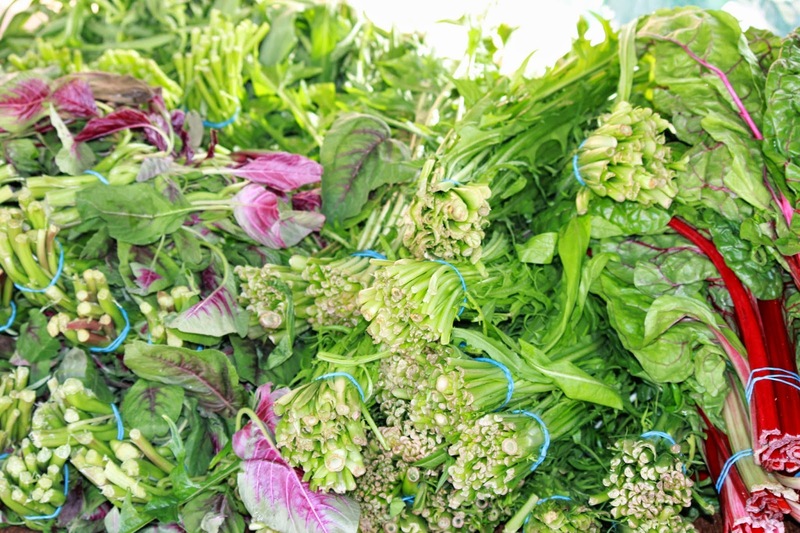 But so as not to have edibleskinny.com feel left out, here are some awesome pictures from Sunday's Santa Monica Farmers Market and the rainbow bounty of beauty that it is! 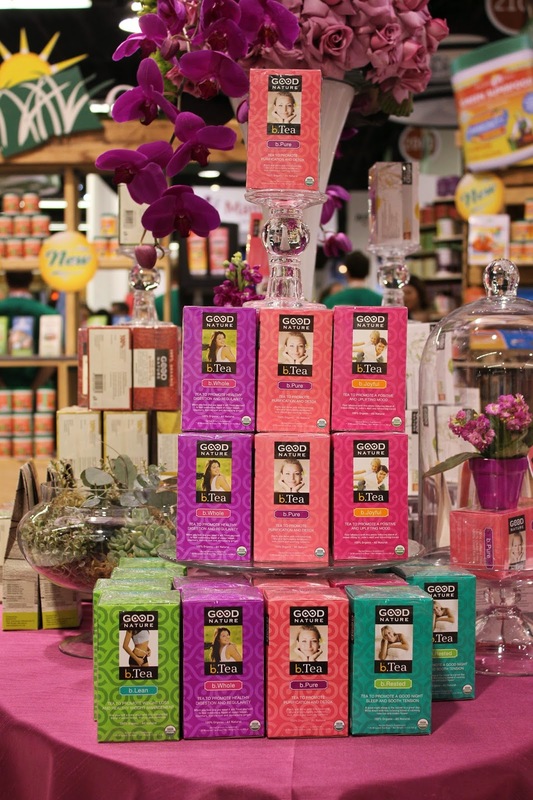 Our last entry in our Best of Fest picks of the Natural Products Expo West was a favorite of Kelly’s (they would have been for me too if I didn’t avoid cheese being an “Almost Vegan”). It's also quite fitting as we're embarking on our first Edible Skinny travel trip to Sonoma County tomorrow!!! Mr.Cheese O's is an all-natural, crunchy, and fun O-shaped cheese snack was launched this year at Natural Foods Expo West. This cheesy snack comes from Sonoma Creamery, an artisan cheese company based in California's wine country, that makes hormone free, 100% natural, gluten-free cheeses. 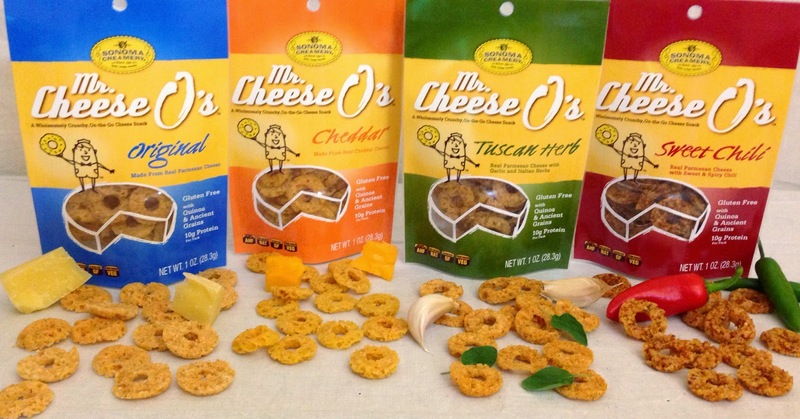 Mr.Cheese O's handcrafted all-natural cheese and O-shaped bites contain no artificial ingredients, are gluten corn, wheat, and preservative free, use organic quinoa and other ancient grains, and contain 10-grams of protein per one-ounce bag. They come in four indulgent varieties: Original, Cheddar, Tuscan Herb and Sweet Chili. "As parents, how can we trust snack products that use ingredients with names we can't even pronounce?" said Sonoma Creamery's CEO, John Crean. "In a space that's dominated by not-so-good-for-you products, and being a dad myself, I'm proud that our new Mr. Cheese O's product is an extra tasty, crunchy real cheese snack with a clean label and all natural ingredients that parents can feel good about giving their kids. And maybe saving a few for themselves, as well." Inspired by the vibrant agricultural bounty of Sonoma County the Sonoma Creamery was founded in 1931. In the middle of the Great Depression, there was the belief in a simple concept: use the best milk and produce quality cheese. With that in mind, Sonoma Creamery and Sonoma Jack were born. At the core of Sonoma Creamery's success is a commitment to using the best natural ingredients, starting with rBST free (no artificial hormones) milk to produce superior cheese. Sonoma Creamery then uses the best condiments and spices to craft its flagship Sonoma Jack brand of award winning flavored Jack cheese. Mr. Cheese O's will be available in the deli section of national grocery and convenience store chains starting this June. 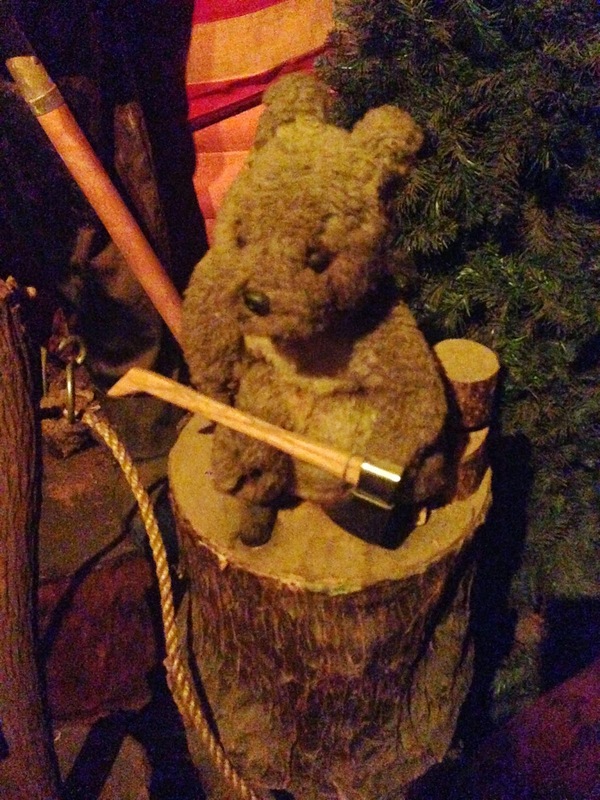 Best of the Fest #9: Bobbysue's Nuts! 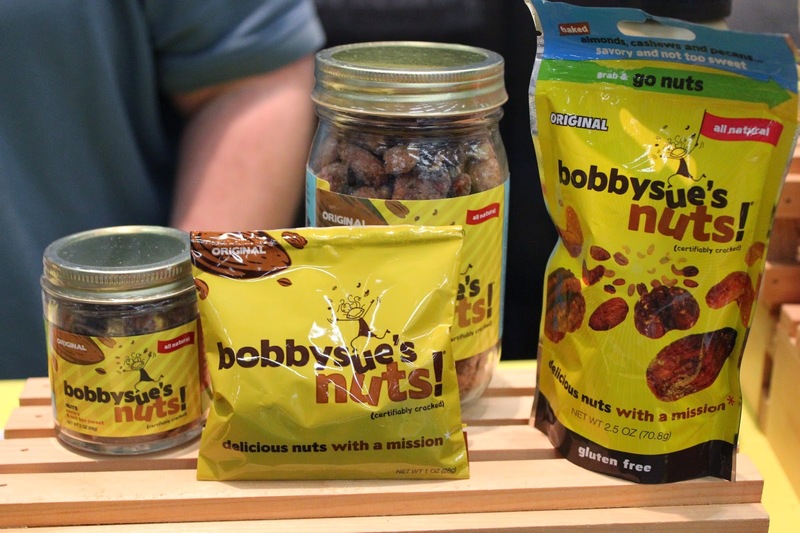 One of our favorite snack mixes of this year’s Natural Product Expo West was the Westchester based Bobbysue’s Nuts! Bobbysue’sNuts! 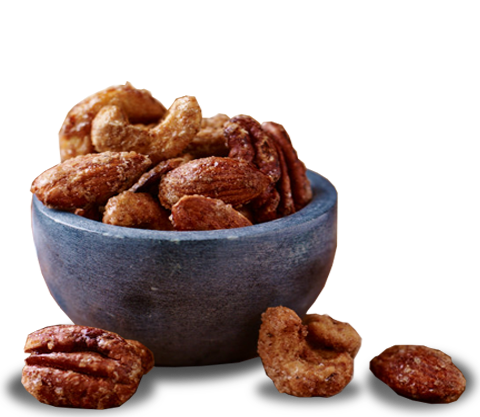 are a "savory and not too sweet" blend of all-natural almonds, pecans, cashews along with select spices, a dash of sweetness, and egg whites from humanely raised chickens, that create a mouthful of crunchy goodness! Their mixes are available in 3 different flavors: Original, It's Raining Chocolate, and Some Like it Hot. A portion of every dollar of Bobbysue’s Nuts! 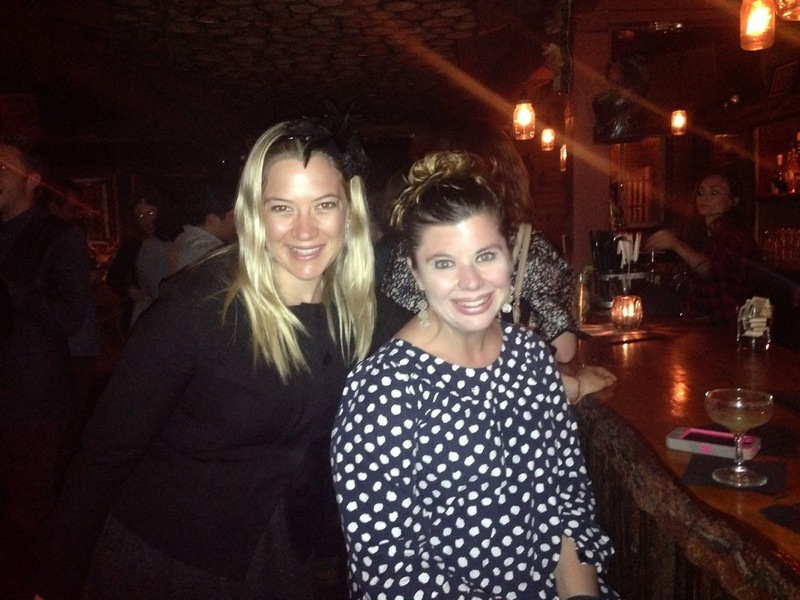 goes toward benefiting the SPCA of Westchester, New York to help build a shelter for homeless animals. Bobbysue’s Nuts! donates the greater of 2% of net profits or $5,000/year and in their first five years, they have donated almost $40,000! The SPCA of Westchester takes in animals from all over the country with the promise of helping them find homes no matter how long it takes. The primary goal of Bobbysue’s Nuts! is to help raise enough money to build a modern shelter facility that will ensure a safe and comfortable home for all the animals crossing its threshold, to support legal protection for animals and to educate the community with particular emphasis on children. 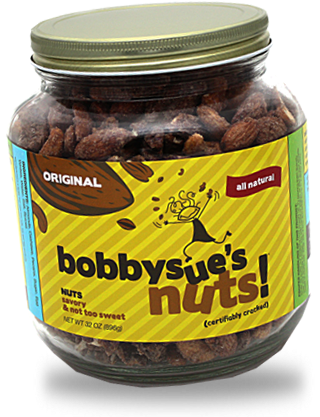 Since gaining momentum over the years (you can now find Bobbysue’s Nuts! mix in all 57 Legends Luxury Suites at YankeeStadium!) her son Adam has now joined the team (which is who we had the pleasure meeting at the Natural Products Expo West) making this flavorful concoction of nuts a whole family affair! 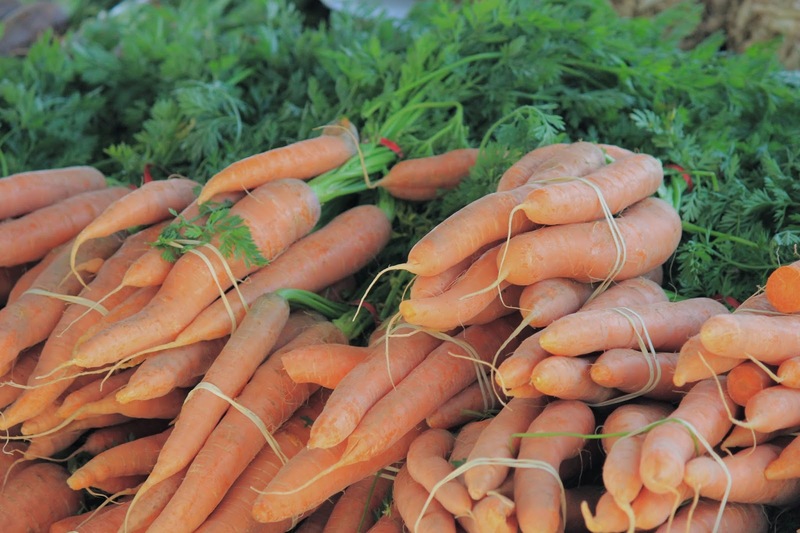 Since they started in 2009, Back to the Roots has always been a favorite of Edible Skinny’s. 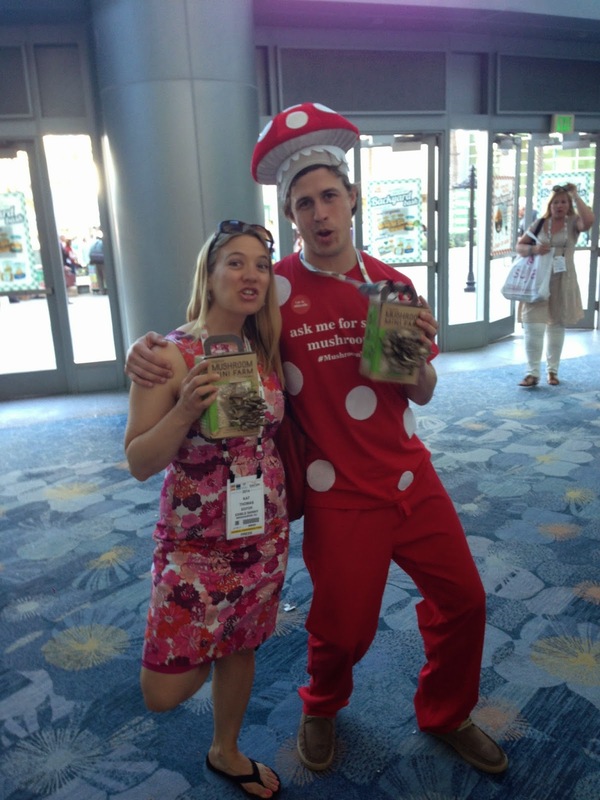 So we were definitely excited to hear that BTTR’s mushroom kits are now USDA certified organic at this year’s Natural Products Expo West (which we found out via the Mushroom Man at this year's convention)! Me and the Mushroom Man! Nikhil Arora and Alejandro Velez were a few months away from graduation at UC Berkeley when they first heard that you could grow gourmet mushrooms on recycled coffee grounds. 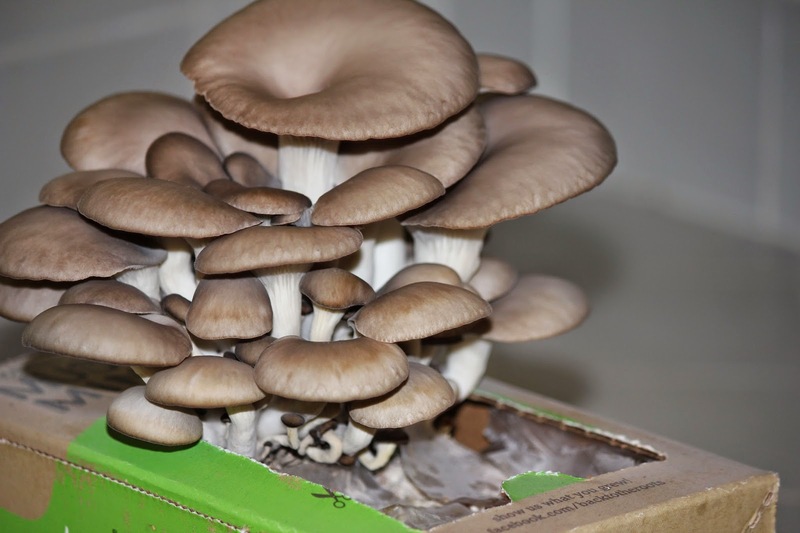 Inspired by the idea of turning waster into fresh, local food, they experimented in Alex’s fraternity kitchen, which ultimately lead to growing one test bucket of oyster mushrooms. With that one bucket they decided to forgo their investment banking and consulting offers to instead become full-time urban mushroom famers and they haven’t looked back since! Edible Skinny recently took a test spin of BTTR’s Mini Mushroom Farm. Simpler than their standard Mushroom Kit (there’s no mister) there’s only 3 simple steps between you a 1b of organic mushrooms: open, water, and harvest. This kit grows gourmet Pearl Oyster mushrooms, a varietal that is commonly found in Europe and Asia and are used increasingly in a variety of cuisines for their velvety texture, smooth taste, and dense nutrient content. The Mushroom Mini Farm is made from all organic recycled waste including corn cob and saw dust. Just 10 days later there was a full-realized crop of fungi that were deliciously sautéed with garlic and olive oil. 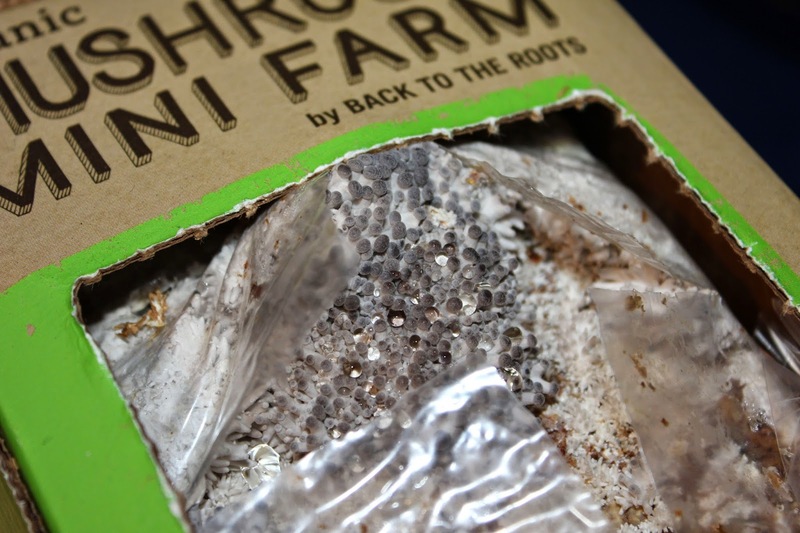 The Mushroom Mini Farm is exclusively sold at Whole Foods, Home Depot, and Fresh Market locations nationwide. And with a price point of under $15 and is perfect for the novice mushroom farmer. 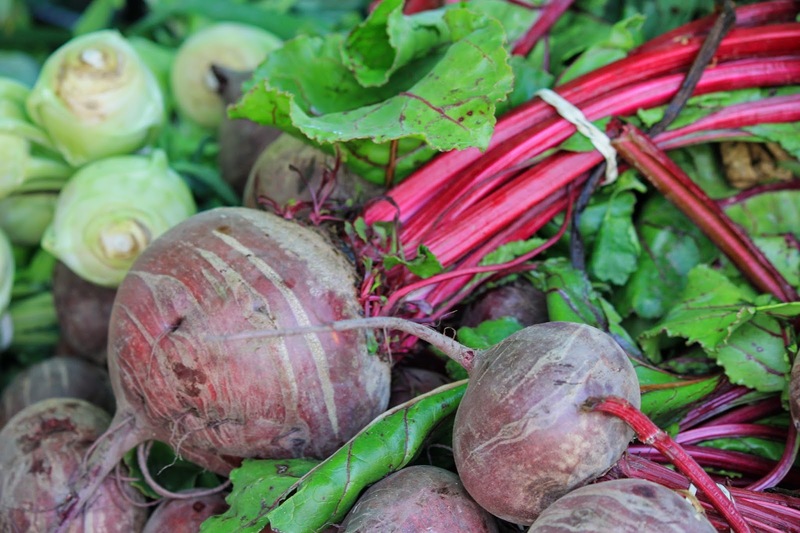 The camera and I made it to the Santa Monica Farmer's Market on Sunday to take some sweet shots of all their abundant produce. 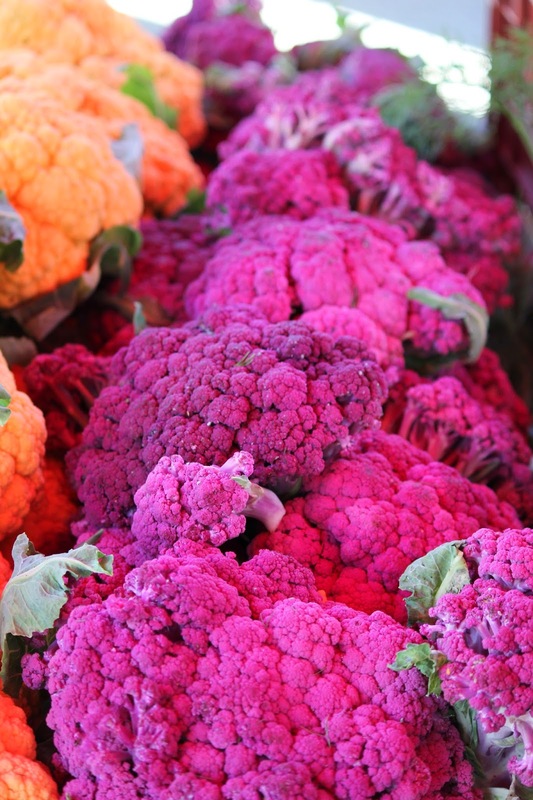 From Easter greens to purple and cheddar cauliflower it was a rainbow of colors!!! Purple and Cheddar Cauliflower. Photo by Kat Thomas. Greens Abound! Photo by Kat Thomas. 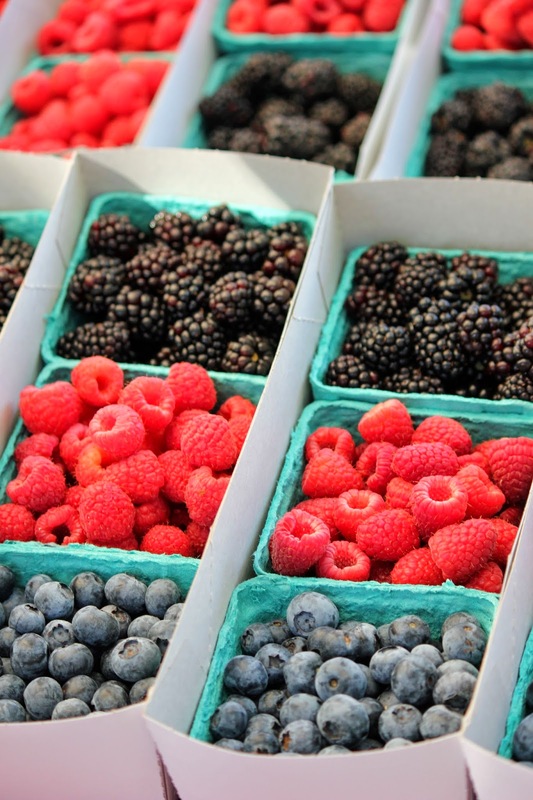 Pudwill's Berries. Photo by Kat Thomas. 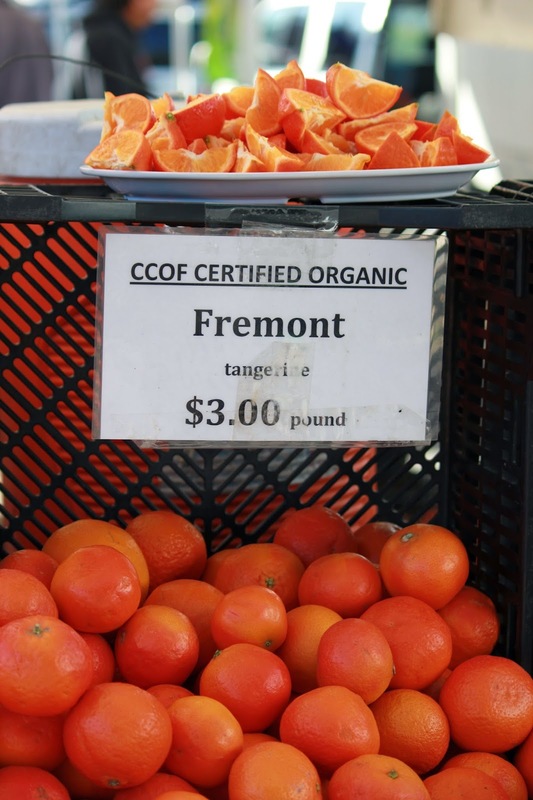 Freemont Tangerines. Photo by Kat Thomas. 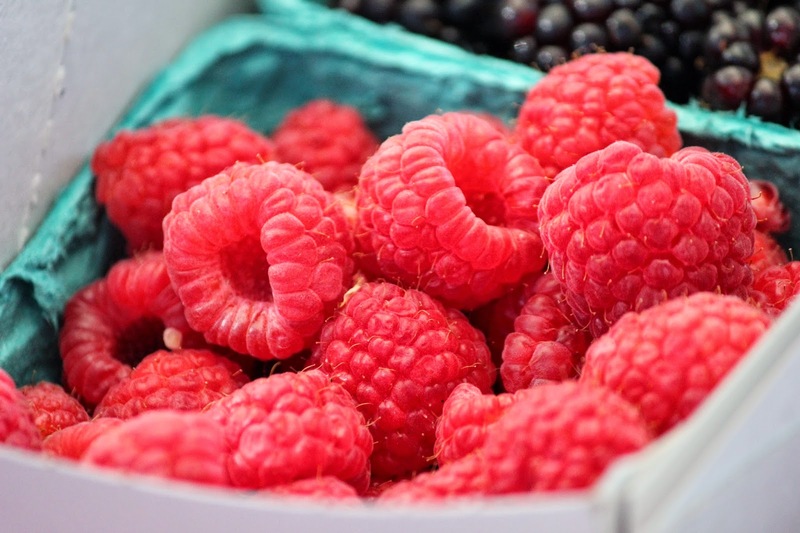 Raspberries. Photo by Kat Thomas. Edible Skinny was lucky enough to attend a soire at Bigfoot Lodge to spotlight their revamped cocktail menu last week. Their new boozy brews, known as the Irreverent Cocktails collection, highlight craft whiskeys found west of the Mississippi as created by the famed cocktail slinging conduits, Marcos Tello and Aidan Demarest of Liquid Assets. Their Irreverent Cocktails are the first time there’s been a collaboration between The 1933 Group (owners of the Bigfoot Lodge along with the Thirsty Crow, Oldfield’s Liquor Room, Bigfoot West, La Cuevita and Sassafras) and the cocktail creators Liquid Assets. Marcos Tello and Aidan Demarest have successfully helped to install classically inspired cocktail programs throughout the Los Angeles area, including Seven Grand Whiskey Bar, The Edison, 1886 in Pasadena (a recent recipient of Food & Wine's Best Bar's in America 2012), Killer Shrimp, Tom Bergin's Horseshoe Tavern, and FEED Body & Soul in Venice. 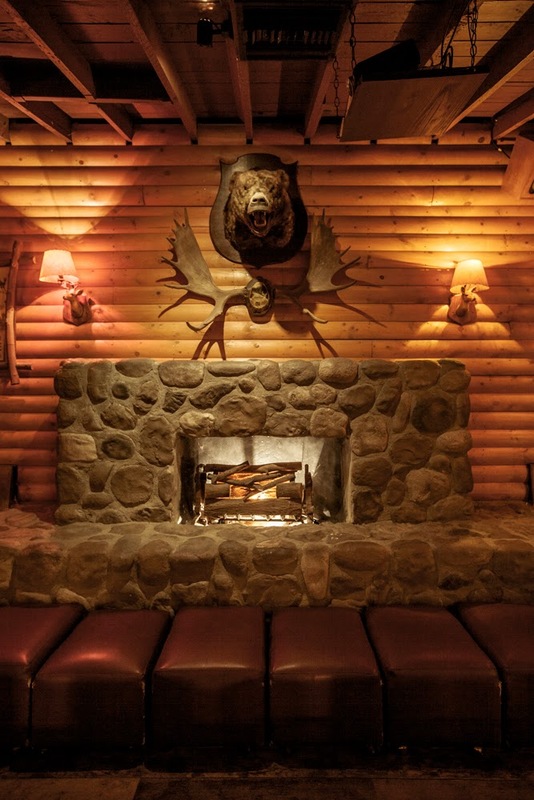 Liquid Assets has conspired with the 1933 Group to create a new menu that is in step with Bigfoot’s original pioneering spirit. The new Western whiskey focused drink list features more than 20 unique, small batch whiskeys, ryes and bourbons which hail from the great American West, including: Oregon (Clear Creek Single Malt), Utah (High West Campfire, which Marcos Tello told me was his personal favorite), Colorado (Leopold Whiskey Small Batch), Washington (Oola Waitsburg), Iowa (Cedar Ridge Bourbon) and California (Silver Lightning Moonshine). All of the new featured whiskeys are rowdy in flavor and profile. 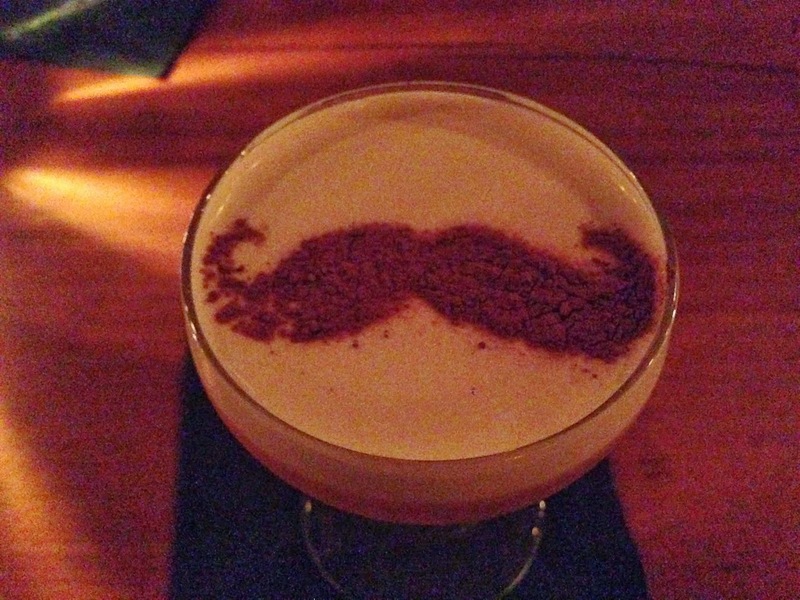 Cookie Duster - Leopold Small Batch Whiskey (CO), Chocolate Liqueur, Cream, & Mustache (Yes you read that right, there’s an actual super ironic mustache on the drink for all those Hipsters who think the one on their face just isn’t enough). So sip and savour with verve all the flavor! 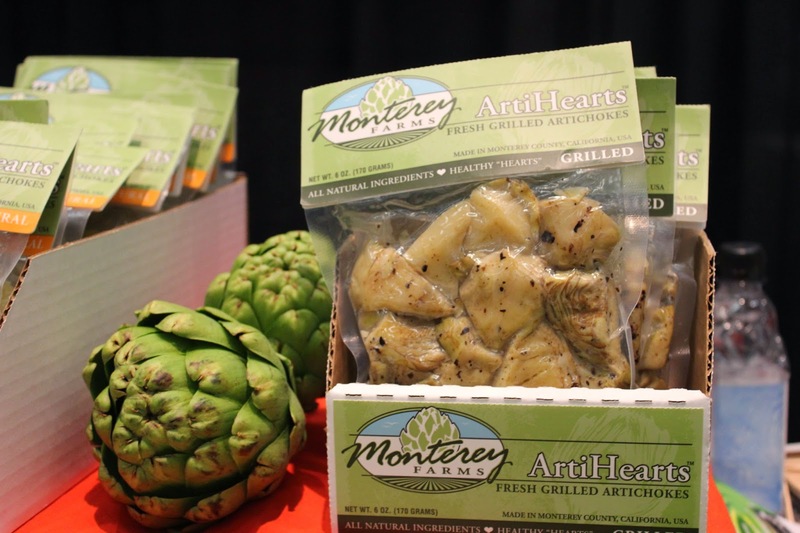 One of the simplest and tastiest products that we experienced at the Natural Products Expo West were the elegant and exquisite artichoke hearts of Monterey Farms. 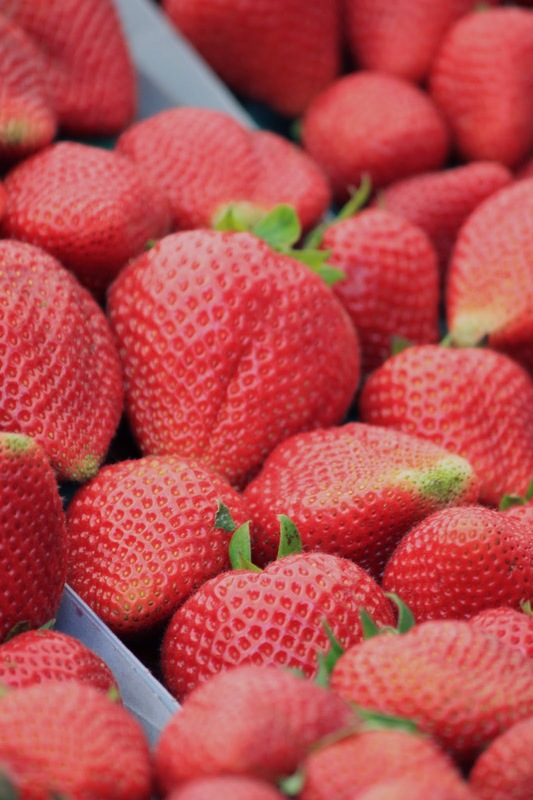 With over 25 years of experience Monterey Farms is a small locally owned and operated manufacturer located in Salinas, California. They are situated on the scenic Monterey Peninsula, less than 15 minutes from Castroville, “The Artichoke Capital of the World.” Because of their close proximity to the nation’s most notable artichoke fields, Monterey farms is afforded access to the freshest artichokes available. Monterey Farms artichokes are made with all-natural ingredients and their taste, texture and quality is that of a cooked artichoke fresh from the field. 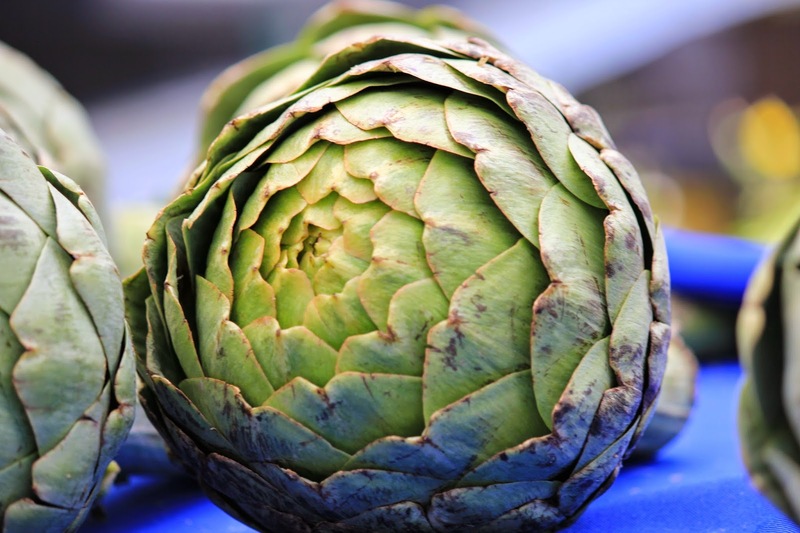 Their proprietary process of sealing the arti hearts promotes the natural value and health benefits of the artichoke, giving a chef a unique and graceful alternative to the canned or jarred artichoke products. 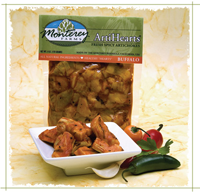 Monterey Farms offers artichoke hearts that are available in 4 divine and distinct flavors. Along with classics such as Grilled ArtiHearts and Natural ArtiHearts, Monterey Farms offer a few other fun flavors that were total winners! My favorite were their Buffalo ArtiHearts which are tossed in a traditional Buffalo style sauce, then grilled for a rich, spicy, full body flavor. For the Vegetarian and Vegans in the room (moi) they’re a delicious meat alternative to Buffalo style chicken wings! Buffolo ArtiHearts can be served either warm or lightly breaded; either way they are a savory Yummm! 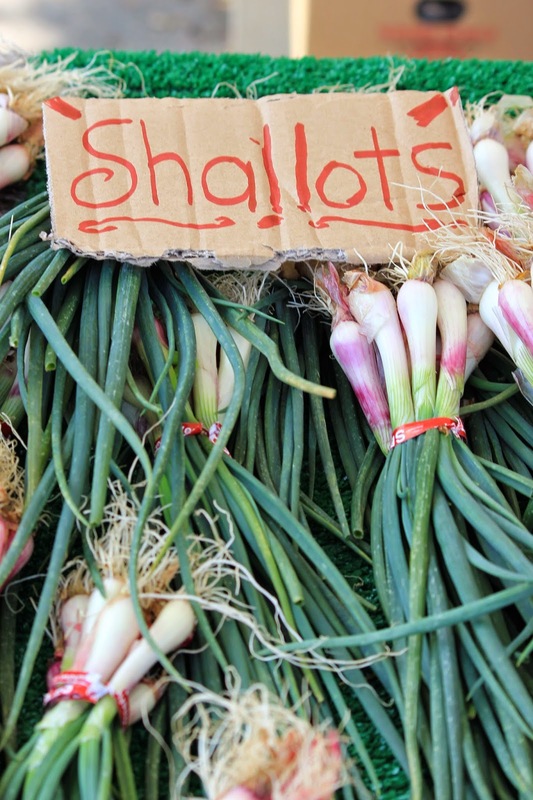 Monterey Farms artichokes are available at Whole Foods Market, The Fresh Market, Wegman's, and HEB Markets. Good Nature Tea was hands down the tastiest tea that both Kelly and I sipped during our time at the Natural Products Expo West, and that’s saying something considering the amount of tea vendors there! Good Nature’s tea was so delicate and delicious that you didn’t need to add anything else (no honey, no milk, nothing!). For more than 70 years, Alkaloid AD, has been one of the most successful Macedonian companies and their products are present in markets across 27 countries. Trusted throughout Eastern Europe for years, Good Nature strives to bestow you with the same enjoyable experience as they have brought to Eastern Europeans for years. They believe the secret to life is a good cup of tea (which is good news since I gave up coffee a few months ago!). 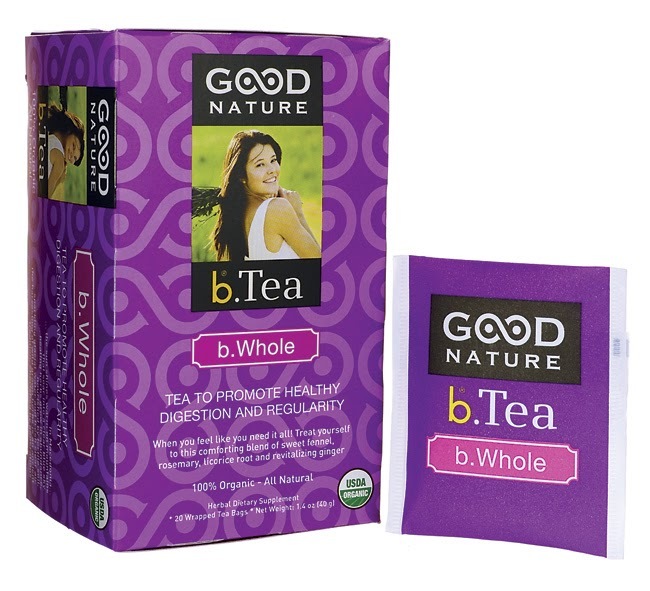 GoodNature Organic Tea is made with the highest quality, therapeutic grade herbs and botanicals. Good Nature tea is 100% certified organic, natural (yes a joke word in the United States but in their mind: the epitome of a legitimately natural product), caffeine free, and additive free. Their bags are made from 100% unbleached paper with their boxes made from 100% recycled paper board (at least 40% verified post-consumer waste) and printed with soy ink. 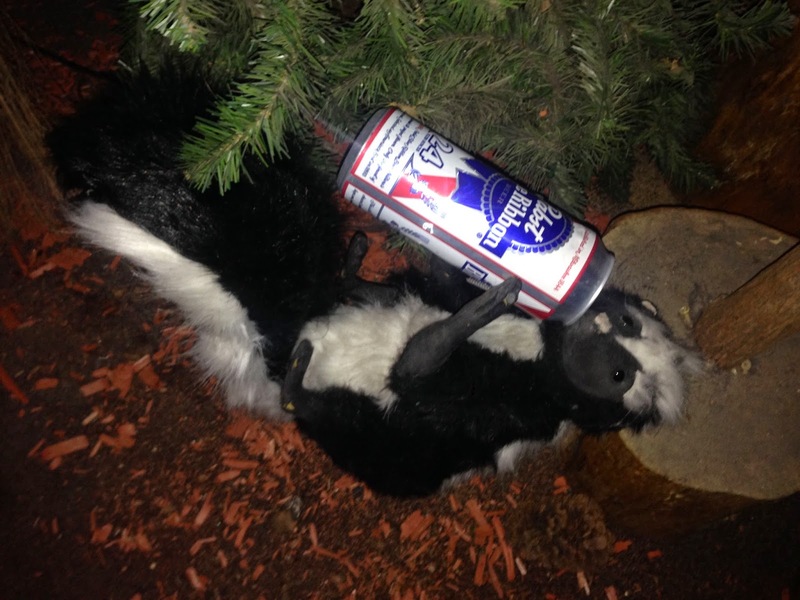 Rigorous taste testing ensures good customers’ opinions regarding their products. At Alkaloid AD, they believe that the skill of any tea producer lies in the art of blending flavors, selecting one or more herbs and creating harmonious aromas, while preserving the uniqueness of each of them. 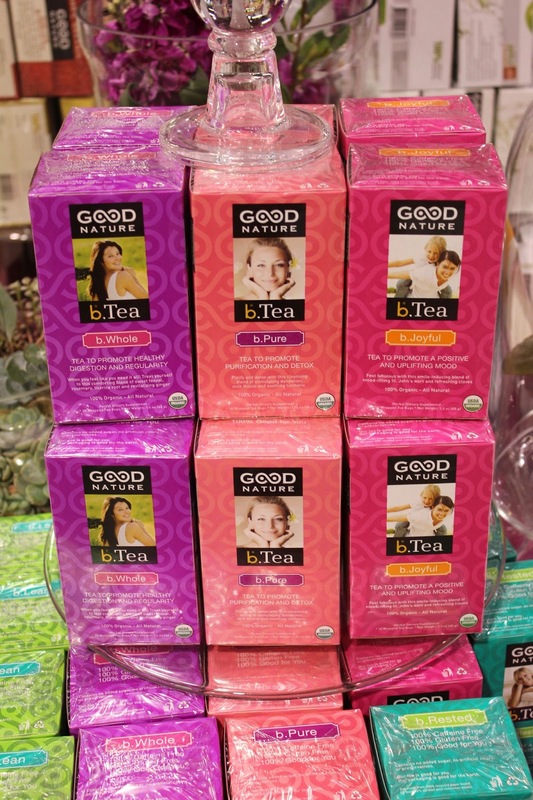 Both Kelly and I were gaga for the Good Nature’s BeTea line. 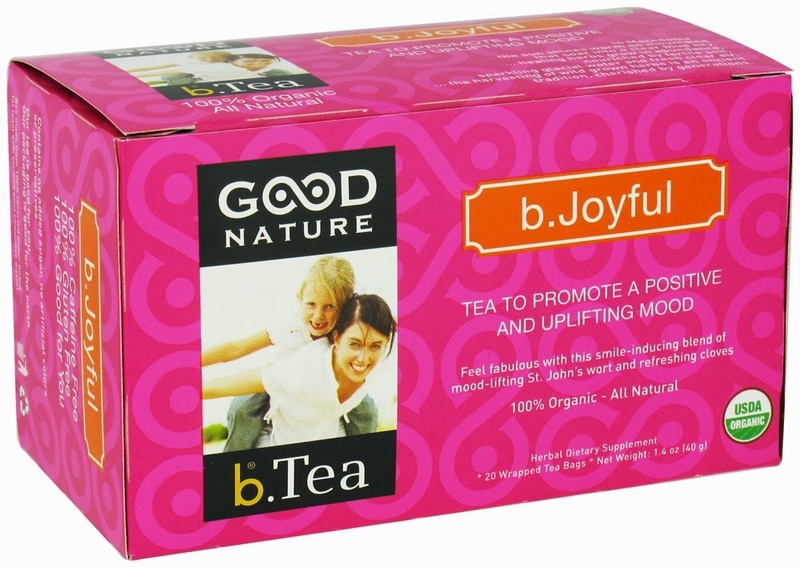 With names such as b.Pure Tea, b.Whole Tea, and b.Joyful Tea these teas inspire both your Consciousness and your tastebuds. Available on their website and somewhat on Amazon they are a perfect choice for anyone looking for an alternative to coffee!